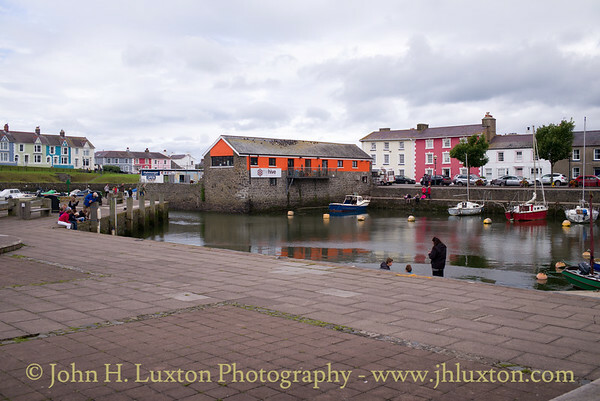 Aberaeron a planned town in Ceredigion noted for the graceful lines of its many regency buildings. 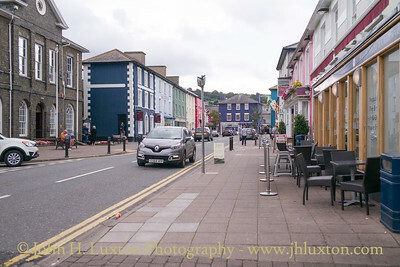 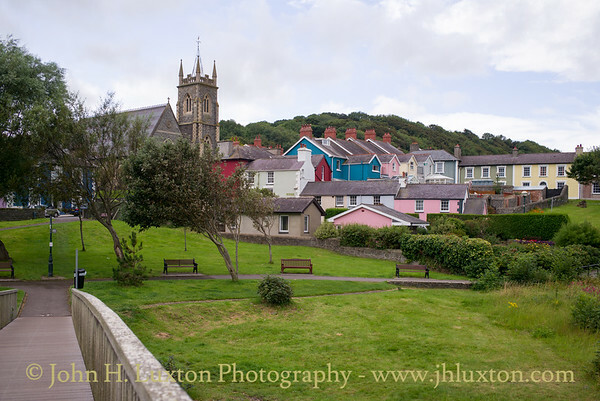 The town and harbour were developed in the early 1800s by local entrepreneur, the Reverend Alban Jones-Gwynne, who obtained an Act of Parliament to develop one of the first ‘planned’ towns in Wales. 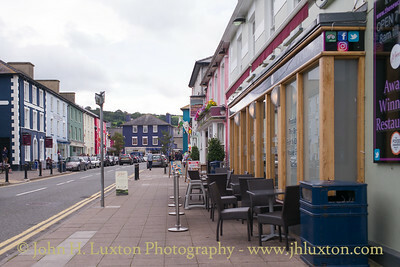 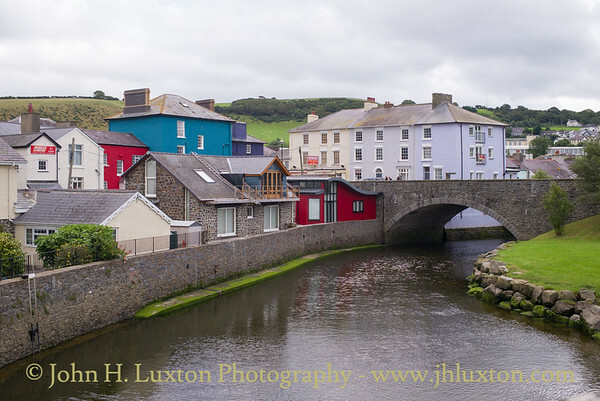 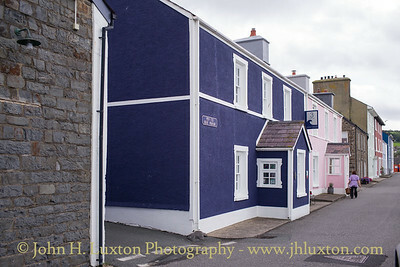 The architecture of Aberaeron is unusual in this part of rural Wales, with the Regency style buildings being constructed around the harbour and grouped around Alban Square. 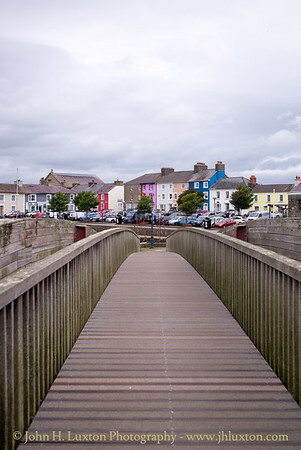 Once a busy fishing port which also saw families emigrate to the New World, Aberaeron today is one of Ceredigion's best loved holiday resorts with fashionable places to stay and eat. 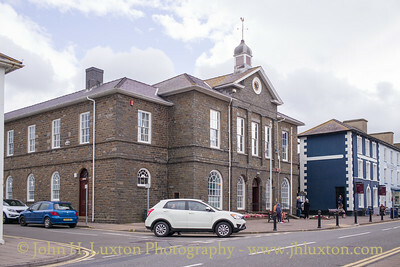 The former quayside office of The Aberayron Steam Navigation Company established here in 1863. 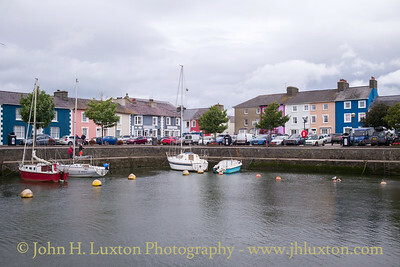 The company went into liquidation when its ship the PRINCE CADWGAN, captained by John Evans of Milford House, was lost in 1876. 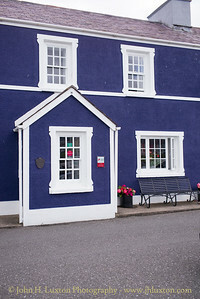 The company was succeeded by Aberayron Steam Packet Company established in 1877. 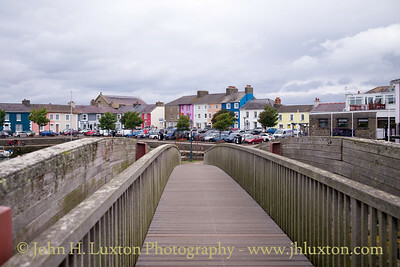 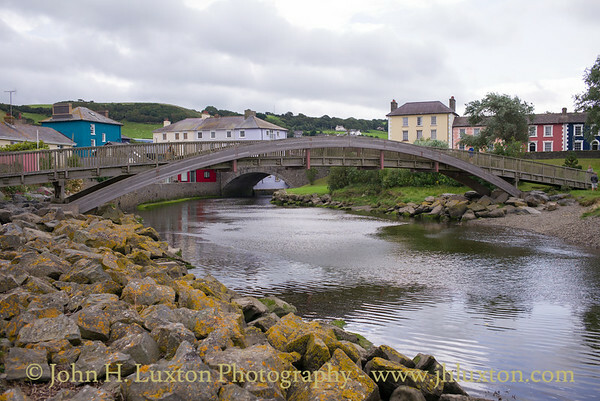 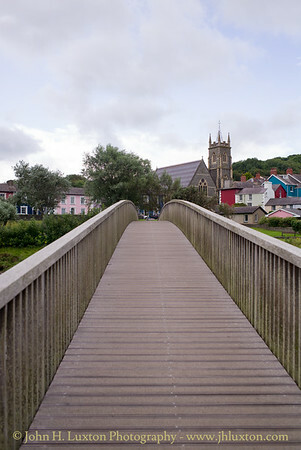 Aberaeron footbridge over the Avon Aeron. 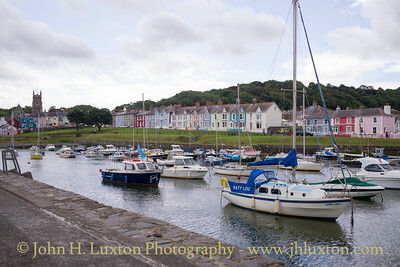 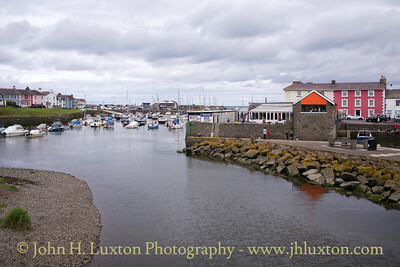 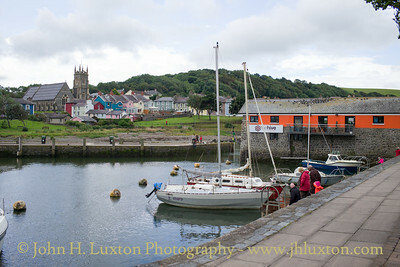 Aberaeron Harbour viewed from the footbridge. 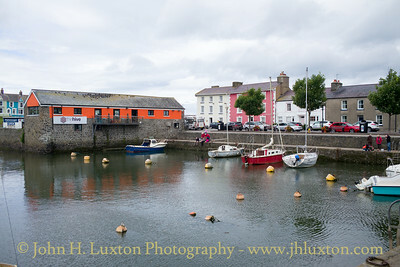 In the late 19th and early 20th Century an early cable car operated across the harbour. 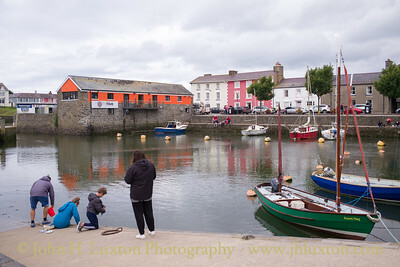 The stone foundation of the south side landing can be seen on the quay to the left just above the nearest row of motor cruisers. 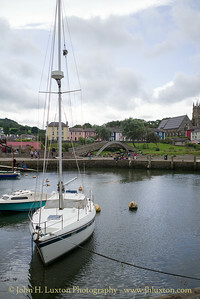 Aberaeron Harbour viewed from the footbridge. 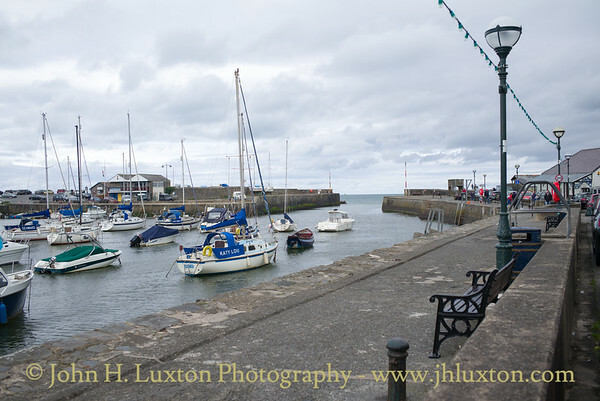 In the late 19th and early 20th Century an early cable car operated across the harbour. 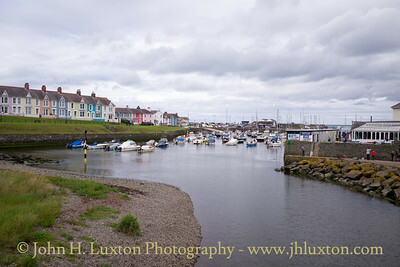 Aberaeron viewed from the Afon Aeron footbridge.